Episode 17 - The Power of Your Voice: Captivating Your Students with Presence and Presenting Techniques - Alanna Kaivalya, Ph.D.
As a yoga teacher, the most powerful tool that we have is our voice, but we very rarely learn how to use it effectively. 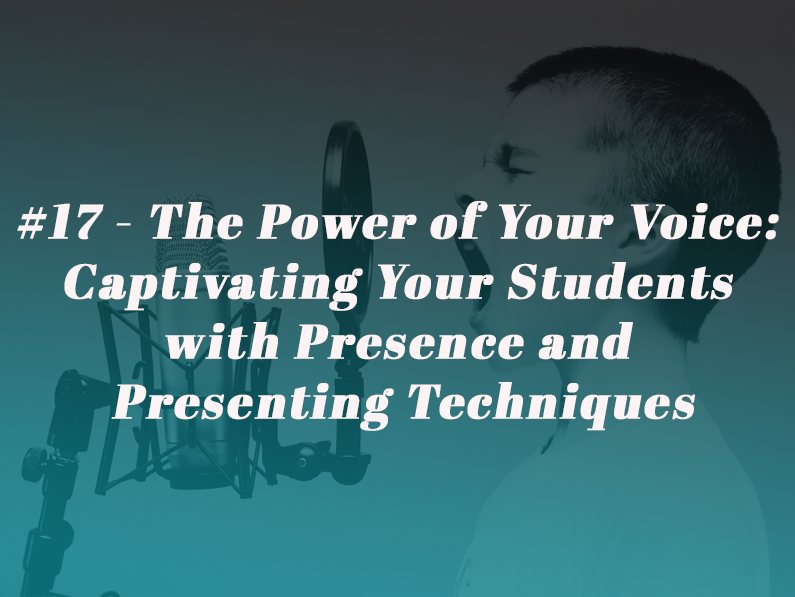 It is through our voice that we connect with students, deliver critical information, not just alignment to the pose but information about how to elevate themselves spiritually or how to move through difficult choices and challenges in life. It’s our voice that allows us to connect. So it’s worthwhile to examine just how we use our voice to make sure that we deliver teachings that come straight from our hearts. In this podcast, I’ll dial in your voice, help you elevate yourself from good to great as a yoga instructor and establish the kind of expertise necessary to differentiate yourself from the crowd. As yoga teachers, there’s no tool that we use more frequently than the voice. It’s how we guide students through a practice. It’s how we give alignment cues. It’s how we teach them about philosophy, and ultimately it’s how we connect with them. Flowery and overly descriptive cues can actually lose students. Remember that students can really only hear about three cues at a time. Remember, the most effective voice for you to use when you teach yoga is your own. Your students want you to have a commanding presence. They want you to be confident. They want you to step into the seat of the teacher. Use your voice powerfully and speak from the heart. And I hope all of these techniques that I’ve shared with you today help you to do that.